Stop by our open house on Sunday, March 30th from 1PM to 4PM. This just might be YOUR dream home! 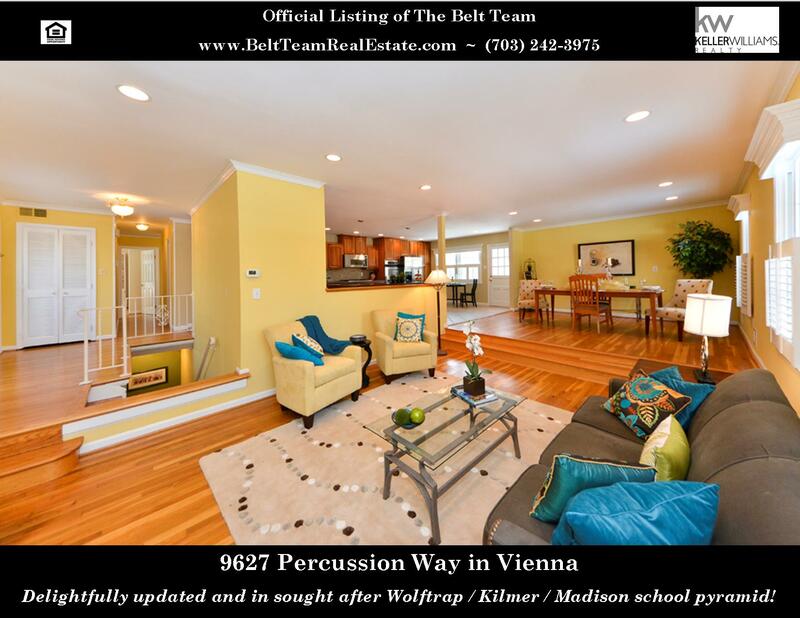 This gorgeous, updated home in Vienna’s sought after Symphony Hills is listed at $824,900. Wolftrap / Kilmer / Madison school pyramid! Is THIS the one you’ve been waiting for?! Open Sunday, March 23rd from 1-4PM! 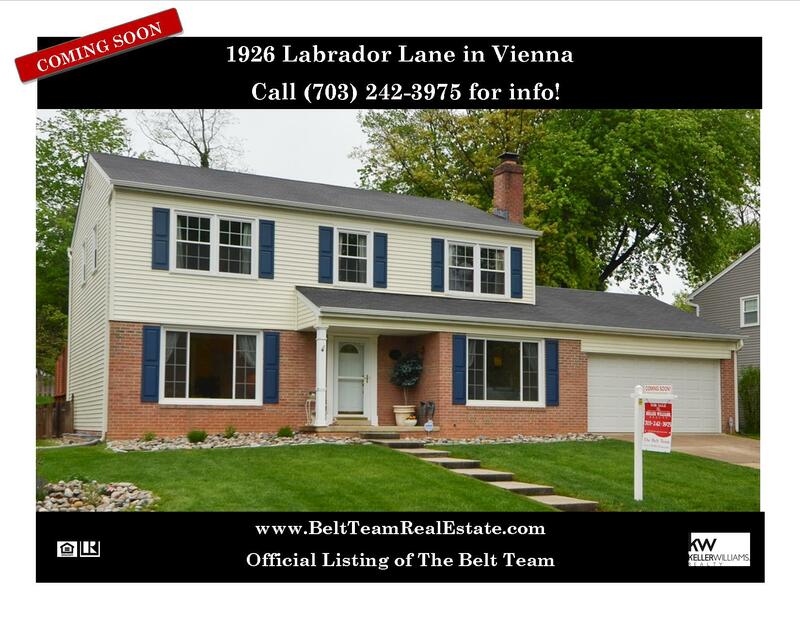 Contact The Belt Team for more info or to schedule a showing call (703) 242-3975! 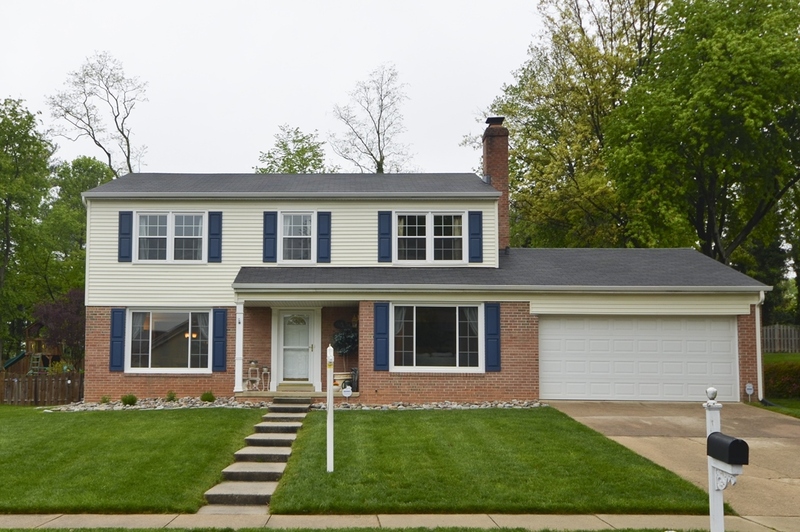 Coming Soon: Delightful Colonial in Popular Eudora Subdivision in Vienna! Coming soon in the fabulous neighborhood of Eudora – mere minutes from all the amenities of the Town of Vienna (but no town taxes!). Great schools & easy commuting! Enjoy a flowing floorplan, updated windows & siding, separate family & living rooms, an eat-in kitchen with stainless appliances, formal dining room, main level office, remodeled lower level with exercise room and full bath, great back area perfect for entertaining. Over the years, The Belt Team has gotten this phone call many times. You can fill in lots of different words in the blank: “time”, “money”, “hassle”, “heart-ache”. The word is often different, but the sentiment is the same. Some Sellers express this thought after selling and realizing they could have done better. 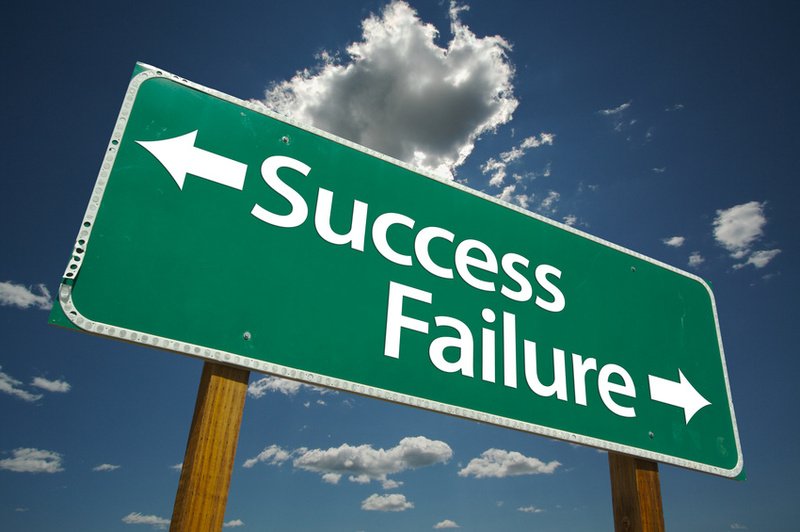 Others call us when they are unsuccessful in selling and realize they need help. 1. Since most buyers search for homes online, I know how vital good photos of my home are. Do you hire & pay for a professional photographer on my behalf? 2. Do you pay for me to have a consultation with a professional stager so my home will look its best when I go on the market? 3. How many homes did the average Realtor sell in our area? And how many homes did you sell last year? Are you the top agent in the area? 4. 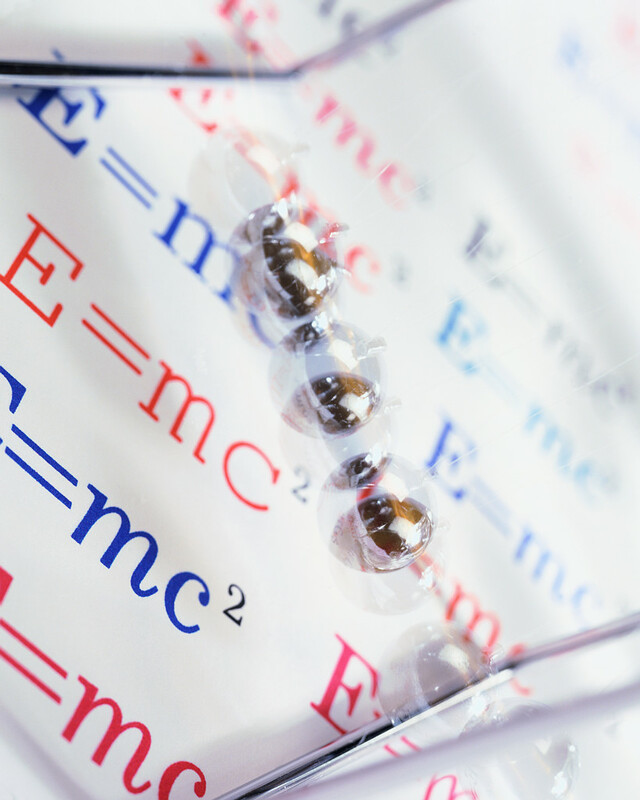 How fast did homes sell on average & how fast did your listings sell? How fast did yours sell compared to the top agents? 5. What percent of list price did the average home sell for and what percent of list price did your listings sell for? How does this compare to the top agents? Terry & Kevin are known nationally for their top-notch negotiating skills and our listings sell FASTER and for MORE MONEY than average. It’s why The Belt Team has sold more homes than almost any Realtor or team in Northern VA and why we’re ranked in the Top 10 Teams in the entire state! Our mission is “Changing Lives For The Better”. If it’s time to change YOURS, call us at (703) 242-3975! 4131-C South Four Mile Run Drive in Arlington – Open Sunday, March 16th 1-4PM! There are only 6 homes on the market in Vienna listed between $750,000 and $850,000; and most of them have been on the market for a while. But we have a new listing that could just be THE ONE YOU’VE BEEN WAITING FOR! And it’s open this Sunday, March 16th from 1-4PM! There are only 9 homes on the market in Vienna listed between $725,000 and $925,000; and most of them have been on the market for a while. We have a brand new listing that just might be THE ONE YOU’VE BEEN WAITING FOR! And it’s open this Sunday, March 9th from 1-4PM! 4131-C South Four Mile Run Drive in Arlington – Open Sunday 1-4PM!